Dairy ingestion is a problem for some in today’s world, where cows are raised primarily on feed lots as opposed to the free range fields that history provided them. Hormones and antibiotics in cows today are altering the makeup of dairy products, leaving many people allergic – or at the least, intolerant – of the dairy products on today’s store shelves. Today’s research also shows an association with dairy products and disease as well. 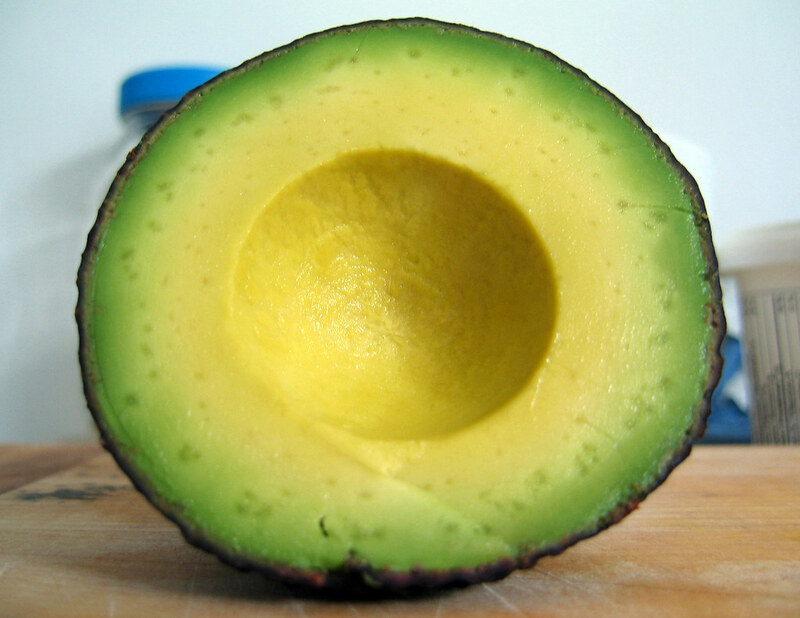 Avocados can be used to replace a variety of normally dairy-rich foods. Here are five ways that you can use avocados to replace dairy ingredients. The rich, creamy flavor of avocado makes a great butter substitute in baked goods, especially in rich, dark baked goods such as brownies or other chocolate-flavored treats. Avocado makes a great replacement for yogurt in your morning smoothie. The somewhat sweet taste of avocado, along with the creamy texture, satisfies the palate just as yogurt would, without the down side of dairy consumption. In many foods, especially in Mexican foods such as tacos, mashed avocado makes a great substitute for sour cream. A homemade guacamole easily made with mashed avocados, some salt, pepper, cumin and fresh garlic, is creamy, rich and full of flavor, making a great addition to any Mexican meal. A creamy ranch dressing is great on a salad, but ranch dressings often contain dairy products. Try replacing your ranch or other salad dressing with mashed avocado and spice up your salads with something a little different, and a little healthier! Avocado, combined with a few spices or fresh vegetables such as finely chopped tomato or red onion, also serves as a fantastic chip or veggie dip. Scrap the dairy-laden chip and vegetable dips, trading them in for a healthy and delicious avocado-based alternative. The result will be a healthier and more palate-pleasing dip. Using avocado as an alternative to dairy products such as butter and sour cream is a great way to incorporate more healthy goodness into your daily diet, while at the same time avoiding the hormones, antibiotics and other no-so-healthy additives found in so many of today’s dairy products. There’s nothing as good as growing them right in your own backyard! We think you’ll like the flavor and the creamy goodness that avocado brings to so many foods.